Rabka-Zdrój, located in a valley on the northern slopes of the Gorce Mountains, is known mainly as a spa-town, because of its salt-works. 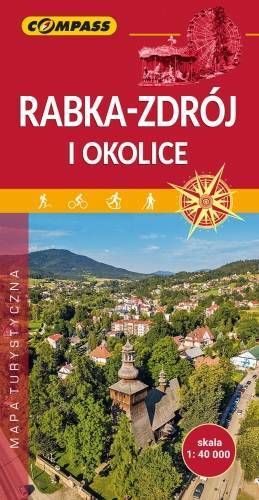 It is also a good starting point for hikers and cyclists visiting Wyspowy Beskids (Island Beskids) and Gorce Mountains. The map range: Mszana Dolna to the north, Jurków and Ochotnica Górna to the east, Nowy Targ to the south, Sidzina and Podwilk to the west.